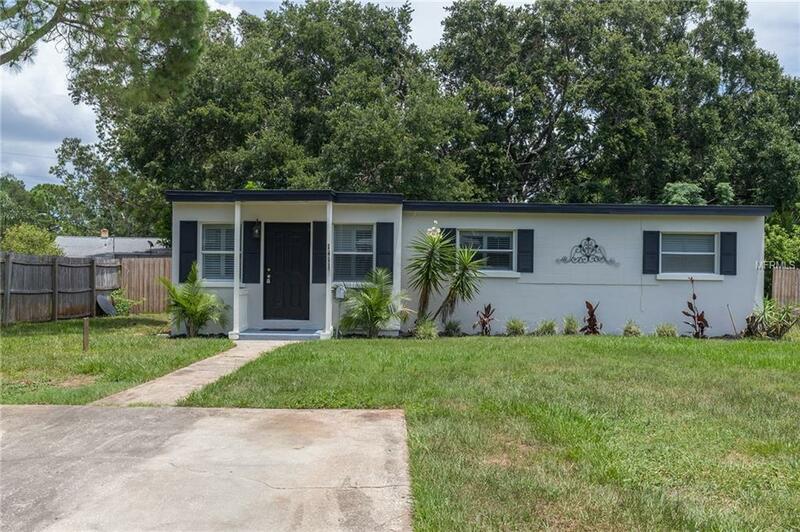 Beautiful 3 bedroom home in St. Pete. Newly Painted Interior and Exterior This charming home offers a spacious open concept floor plan, large kitchen, gorgeous wood ceilings with laminate and tile throughout. The kitchen offers tons of counter space and features a large center island. New Stainless steel appliances, granite counters and beautiful wood cabinetry complete the kitchen. Ample natural light floods through the many windows in the main living area making it open and inviting. Each bedroom with new laminate flooring offers plenty of closet space and you will love the newly remodeled bathroom. Located close to beaches, fine dining, retail and all the area has to offer. Come see this amazing property for yourself today.